For years, technicians have often struggled with electrical systems and troubleshooting them. Today’s electrical systems appear to be more sophisticated than electrical systems of say 10 years ago. The truth is electrical systems have not changed a great deal; manufacturers are just adding more features, which adds more things to look for when electrical systems start causing issues. My hope is to cover some basic guidelines and things to try and remember when looking at or troubleshooting an electrical or ignition system. In this article’s headline, I mention “where there is smoke.” What I mean by that is we have all seen both electrical and ignition systems work great until we see smoke. Electricity is said to be invisible; I say that is incorrect. When a system stops and smoke comes out, that is electricity! The key is to keep the smoke in the wires! No smoke — electrical system is working; see smoke — system stops! In today’s business, we are seeing solid state/CDI (capacitive discharge ignition) or simply electronic ignition systems. They are made up of transistors, diodes and sensors. If you are old enough to remember points, condensers, coils and laminations, then you have been working on systems as far back as 1967 (see Figure 1). One of the first solid state systems for lawn and garden engines was introduced in 1968! These older, for lack of a better term, solid state systems were mechanic pieces that had several serviceable parts: laminations, coils, breaker points, condensers, flywheels and spark plugs. * Capacitor: The capacitor holds an electric charge or acts as a shock absorber to store the charge from the HV (high voltage) supply. 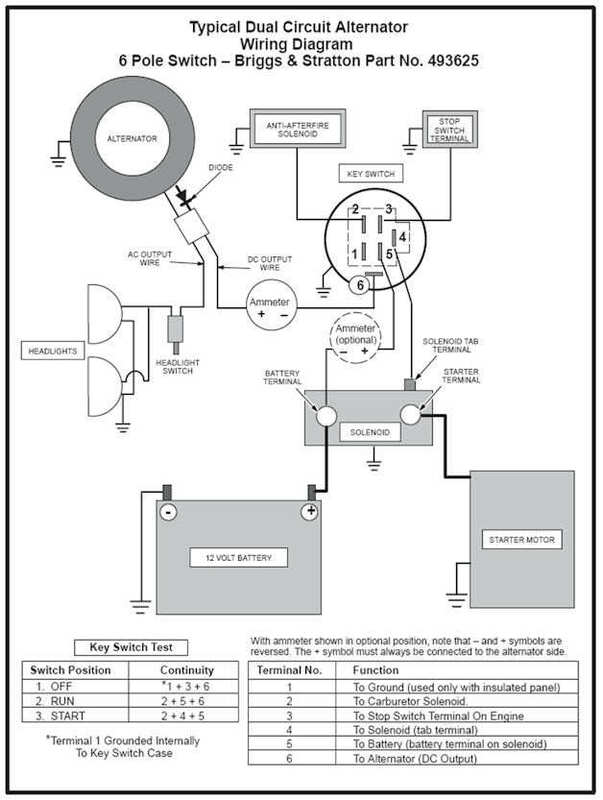 During the second phase of the ignition cycle, the capacitor is discharged through the ignition circuit. * Switch: The switch transfers the energy stored in the capacitor to the primary windings of the ignition coil. This function is carried out by a SCR (silicon control rectifier). The switch is generally linked to a diode for the reverse current. * Sensor: The goal of the sensor is to synchronize the spark with the engine rotation. For the small motor, the sensor detects a bump at each engine revolution. For a multiple cylinder unit, the sensor system gives a pulse for each cylinder or ignition point. – Optimization of the SCR gate current for all the rpm range. – Filtering of parasitic strikes occurring on the sensor signal. – For the most sophisticated small engine and multiple systems, it has to ensure the correct lead angle. * Ignition coil: The ignition coil is a step-up transformer that delivers high voltage to the spark plug. This value can be between 5 and 20 kilovolts (kV), depending on the working conditions. * Spark plug: The spark plug is the final element of the ignition chain. High engine efficiency and complete gas combustion are linked to a good spark quality. Generally, we estimate a minimum of 20 millijoules is necessary at the spark plug. Troubleshooting an ignition system today is actually very easy, provided you have the proper test equipment. A lot of us old-timers probably still have a spark tester that looks like a donut with what appears to be a threaded rod with a harp point and a smaller screw that’s adjustable. This was a great tool for testing breaker points and early solid state systems. With solid state and CDI systems becoming increasingly reliable, it is extremely important to have a tester than can apply the proper load when testing. Remember, when testing an ignition system outside the engine, you need to compensate for fuel air mixture and the compression ratio. That is why it is extremely important to use the appropriate tester. Almost every manufacturer has a recommended tester that will test the ignition system due to those conditions, and a technician should be aware of that unit. Here is where the smoke really needs to be kept in the wires! Charging systems in today’s equipment are really asked to do so much. In the past, all they needed to do was to start the equipment, run an electric clutch, and charge the battery. Today, they are running electric PTOs, charging the battery, running lights, lifting and lowering the cutting heights, and running all the safety switches and safety devices. Some units use the charging system to stop the blades as part of the safety systems, control and/or monitor the fuel systems, run the GPS system — and let’s not forget the radio, CD player, and the iPod and gaming systems! All kidding aside, these systems are asked to do so much more; however, the charging systems themselves are not much different than the earlier systems. As stated earlier, the electrical systems may have increased in what is needed of them, but the basic theory for all the system components remains unchanged, and that is a key to troubleshooting them. All charging systems function according to the same theory. Stators will have a core with two or more posts wound with copper windings. When the south poles align with the stator post, magnetic lines of flux travel through the stator in “one” direction. When the north magnets approach the stator post, the lines of flux travel in the other direction, or simply stated, create Alternating Current (AC). The issue here is that AC can run lights and certain items. However, you also need to create Direct Current (DC) to charge the battery. This is where the fun begins. To create DC, you must take the AC and convert it to DC. This is done by using a diode or a one-way check valve. A full cycle of AC uses the entire wave of the south and north magnets. By using a diode, you take and block the positive side of the AC and only use the DC or negative side to charge a battery (see Figure 2). A short note on batteries: You must have the proper battery for the application. Pay attention to cold cranking amps and its age. Check with the manufacturer of the equipment to verify the size and amps necessary. A rectifier/regulator does pretty much what it states — it rectifies electrical current and regulates the use of that current. The following paragraphs explain what happens with a 15-amp system, so hang on! The outer circuit of a 15-amp regulator consists of AC and uses a CR5, which is a programmable unijunction transistor (PUT). This functions as a diode and a SCR (silicon control rectifier). As a diode, it provides 1/2-wave rectification. As an SCR, it controls the flow of current. The inner portion of a regulator has a “gate” on the PUT, a zanier diode, a cathode, a transistor, an anode and additional resistors. One transistor continually monitors the battery voltage and/or compares the voltage at the anode and cathode. When the battery voltage drops below the desired regulated voltage, the reference voltage reaching the cathode from the zener diode will exceed the voltage at the anode, and the current will flow from the anode through the gate or “PUT” to allow the DC to go to the battery and therefore charge the battery. What all of this means in simple English: AC comes into the regulator, and DC comes out when needed! To test a rectifier/regulator, the old method was to have a known good 10-, 15-, 25-, 30-amp rectifier/regulator to hook up to your alternator. This was done after you tested the stator for proper AC readings*. Today, there are testers that you can use that will test a rectifier/regulator off the unit. This is a great asset and necessary tool for all technicians today. This tester eliminates the need to have multiple known good rectifiers/regulators on hand. * When testing the alternators, please note that AC voltage needed may vary or be lower, depending upon the rpm the engine is running at. So again, check the output readings and make sure the engine is at the correct speed. I know we have spent some time talking basic theory and/or simple test methods, but here again, we need to understand the basics and then have the proper test equipment and tools to make your job easier. There are many great testers on the market, but I cannot tell you which one is the best. I suggest that you find the testers that you feel are the most comfortable and easiest to use. The other item you will need is the schematics of the equipment you are working on and the proper test values. The last piece of advice I can offer is to break down the system and test the pieces necessary; do not remove and replace an item because you “think” it may be that item. If you are checking for an ignition problem, use the right tester and isolate the engine from the equipment. If you are testing the charging system, isolate the alternator output and then test the rectifier/regulator. If it is a clutch or switch, isolate the item and test it based on the manufacturer’s guidelines. By taking your time and looking at the issue in small segments, you will save time and ensure your time spent is productive and profitable. Dave Worden has 40 years of extensive experience in the outdoor power equipment industry at the dealer, distributor and manufacturer levels. After beginning his career as a service technician for a dealership, he made the jump to a Central Distributor. There, he continued to work in the service department before he was promoted to educational director, representing Briggs & Stratton, Kohler, MTD and Tecumseh. He then moved up to the manufacturer level, serving as a territory manager for McCulloch Corp., a training specialist for Kohler Co. Engine Division, and a general manager for a manufacturer-owned dealership. In addition to being a contributing writer for OPE magazine, Worden is currently a program director for SkillsUSA. okay got a strange one, got an older JD F735, checked battery good, replaced switch so good, bbut started right up, ran for about an hour then just died no power. So thinking maybe the regulator wasn’t charging it , charded the battery back up on trickle for a day and half. install the battery go to start it, nothing on lights camera or action . . but nothing lights up, any suggestions. Could a bad regulator shut the whole system down?